No, I’m not scatterbrained, or intentionally trying to be rude. But I am always running late. As long as I can remember, my life has always been this way. I usually wake up with three or four hours to spare before I have to start work, and yet I will still end up frantically running about trying to be on time, which I never am, and arrive at least 5 – 10 minutes late. I don’t think I deserve any special treatment, nor do I think that the rules don’t apply to me. I’ve just never been able to make “time” work for me the way it works for everyone else. There is one sentence that is a constant in my little world; “I have plenty of time.” If I have 30 minutes to get somewhere that is 40 minutes away, I will still believe that I can wash the dishes and take the dogs for a walk before leaving, and still be able to make it on time. Of course, that never happens. But I’m not alone with these late tendencies. 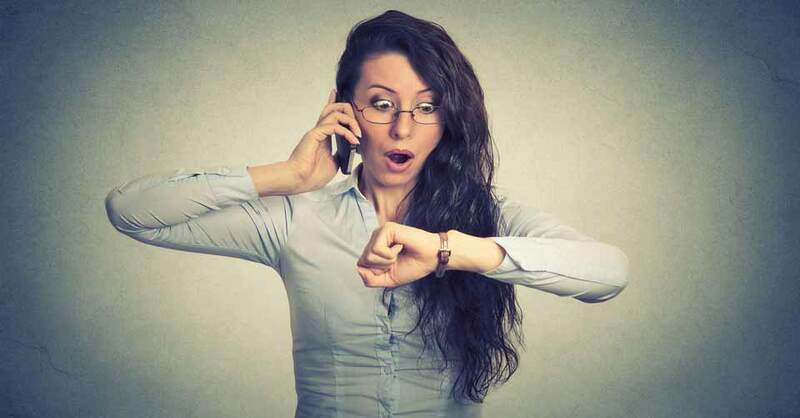 Diana DeLonzor has done personal research on the topic of why certain people are always late, and her findings are pretty amazing. So, if you are chronically tardy, I sympathize with you. The criticism and backlash from constant lateness can be brutal at times. But, it’s actually not intentional and it’s not entirely your fault. Personality and psychology are two key factors when it comes to being consistently late. We’ll touch on the psychology first, then discuss the personality traits. These different psychological traits of tardiness are pretty on point. I personally feel I am a cross between a producer and an absent-minded professor. Over-scheduling my time and becoming distracted by the world around me is basically how my day plays out. Science has found that those who are constantly late are more optimistic, and they feel life really flows when they are multitasking. Basically, those of us who are late are more hopeful individuals. A study done by Jeff Conte at San Diego State University in 2003, found that the majority of those who prefer multi-tasking are generally late due to a lack of “metacognition”, or awareness of what you are doing. In 2001, Conte also found that there’s a personality type that’s more inclined to be late. While the achievement oriented Type A individuals are more likely to be punctual, Type B individuals, who are more laid-back, are later. What’s really interesting is that Type A and Type B individuals actually feel time pass in different ways. Conte conducted three previous studies and discovered that for Type A personalities, a minute passed in 58 seconds, where the Type B personality felt a minute pass in about 77 seconds. In other words, some people experience time differently. And that’s not entirely a bad thing. Being optimistic about what you can accomplish in a set amount of time can literally be good for your health. Optimism and happiness reduce stress, diminish the risk of cardiovascular disease, and strengthen your immune system. Additionally, having a positive outlook can help you live longer as well. All of this talk about time and efficiency makes me wonder, why are we in such a rush anyways? Life is meant to be lived, not scheduled. But I’m a Type B absent-minded professor with producer tendencies. Where do you fit into the table of tardiness? How does being late affect your life? Leave us a message in the comments!